(Whitehall, MT) – Montana State Parks (stateparks.mt.gov) announced the fourteenth edition of its Friday Evening programs will be held this Friday, August 25th from 8 to 9pm. 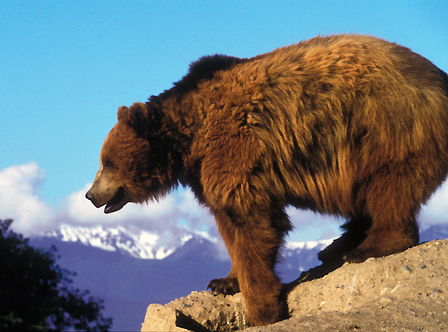 Join Laurie Wolf to learn more about how we can safely share the MT landscape with grizzly bears! The program will cover the grizzly bear recovery and many different bear safety practices. We will learn to identify a grizzly bear from a black bear, how to use bear spray, and recreate safely in bear country. Laurie, FWP’s MT WILD Education Program Manager, will also discuss how to minimize attractants on private lands, secure livestock, recognize bear signs, avoid & handle bear encounters, and recognize different bear behaviors.